Oh, how time flies. Through collective amnesia, pathological altruism, faux do-goodery and a nauseating need to impress global outsiders, we’ve managed to convince ourselves that 2018’s Ireland is better than 2004 Ireland. 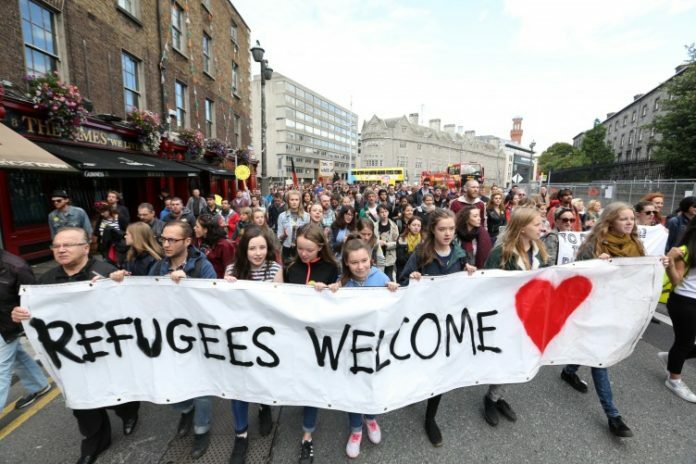 A ‘thriving Renaissance nation’ born from two game-changing referendums has seen Irish people become shining beacons of ‘openness and tolerance’, flat shoes and sanctimony. Yet, 14 and a half years ago, a citizen referendum saw the public vote by 79.17pc to 20.83pc, after a 59.95pc turnout, to abolish the right to Irish citizenship by birth amid claims of ‘birth tourism’. I remember that sunny weekend of June 11. The Red Hot Chilli Peppers played in the Phoenix Park. It was a glorious time. Nanny statedom was in its infancy after the introduction of the smoking ban. We could live wherever we wanted, even on a low income, and still have enough money to go out. Growth stood at 4.5pc. Social media, self-inflicted prohibition, gender wars, rancorous victimhood and feverish puritanism were yet to ruin our ability to communicate. Young people (like me at the time) went to clubs until 5am and early houses until midday before the fun police closed them down. So why did we vote overwhelmingly to abolish the rights to automatic citizenship? Just out of badness? No, it was because during the boom there were countless stories of foreign women arriving in Ireland to have a baby to gain Irish/EU passports and we voted overwhelmingly in favour of removing that right. But fast-forward 14 years to a society infected with synthetic liberalism and spurious benevolence, and we’re seeing an almost direct reversal of the citizenship referendum. Propelled by high-profile cases of 14-year-old Nonso Muojeke and nine-year-old Eric Zhi Ying Mei Xue, who would have been deported but for the interventions of local communities, Labour senators Ivana Bacik and Aodhán Ó Ríordáin’s Bill to amend the current citizenship laws and enable children born in Ireland and living here for at least three years to be considered for citizenship, irrespective of the status of their parents, passed the Seanad on Wednesday. Justice Minister Charlie Flanagan and the Government didn’t support the amendments. Clearly, he was aware that we voted emphatically in 2004 and called new proposals “a knee-jerk” reaction. I wonder how Ms Bacik would feel if a Bill sought to reverse the Repeal the Eighth vote in 15 years’ time. There are around 1,400 children living in direct provision, and taking into account how long it takes to process paperwork for asylum seekers, children could get citizenship, but parents couldn’t. Three years could be cutting it tight. There are always loopholes, which could be open to exploitation, but we want to distance ourselves from people who think like that – in a poll at least. We now live in times when the illusion of kindness is more important than the real thing. If only the heartstrings were heartfelt. There’s nothing wrong with wanting to save a child from being deported, but there’s certainly something odd about making a U-turn on a decision just because it’s fashionable.